This high impact flame retardant block is suitable for terminating high performance utp cable. mounts on 89b bracket. 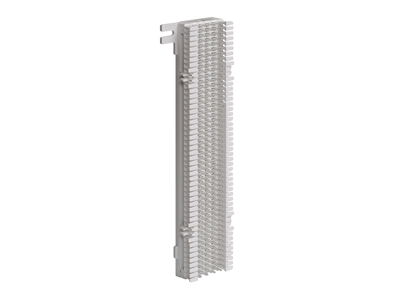 50-pair 66 wiring blocksupports voice and cat 5e data applications. DOES NOT INCLUDE LABELING STRIPS.